Comment: Would lije my living room sofa reuphostered. Comment: 8 Dinning chairs need to be reupholster. Comment: I have a conference table that is approximately 12' x 4' which needs refinishing. However, we only need the top refinished. Comment: Back of chair arms have been damaged from our cat scratching them. 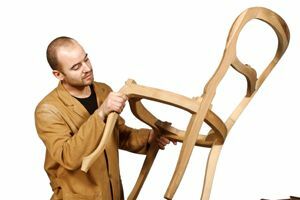 Wilmington Furniture Repair Services are rated 4.96 out of 5 based on 218 reviews of 13 pros. Not Looking for Furniture Repair & Refinish Contractors in Wilmington, DE?